Credit: House of Sims, Flickr. It was 99 degrees in Bay City yesterday, according to my wife and my truck thermometer. Not hot enough to fry an egg on the sidewalk, or even heat-seeking black asphalt, according to a search of the Internets. 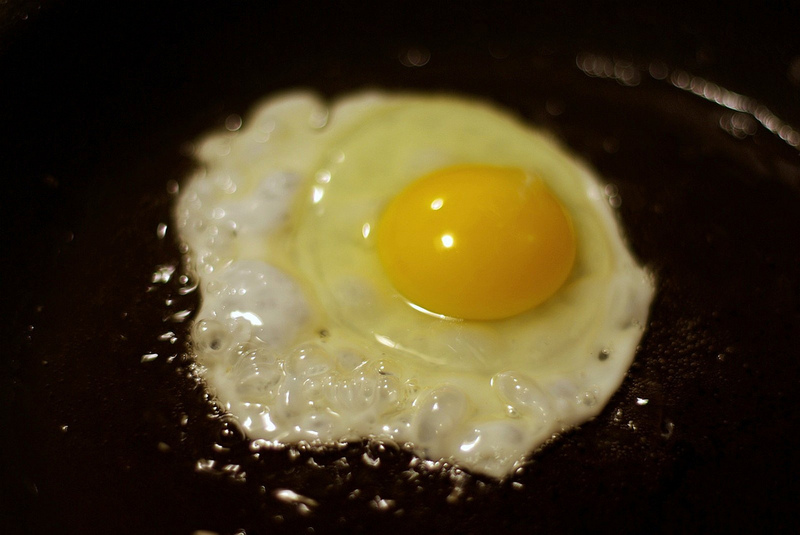 It seems the topic of “Is it hot enough to fry an egg on the sidewalk?” is pretty popular. This guy tried it in Phoenix, at 112 degrees. No go. Gooey egg. The crack reporters at The New York Times tried it yesterday, on the hottest day in the city since 2001. Fail. Either way, as James Bruggers has observed, it’s not a good day to make fun of global warming.